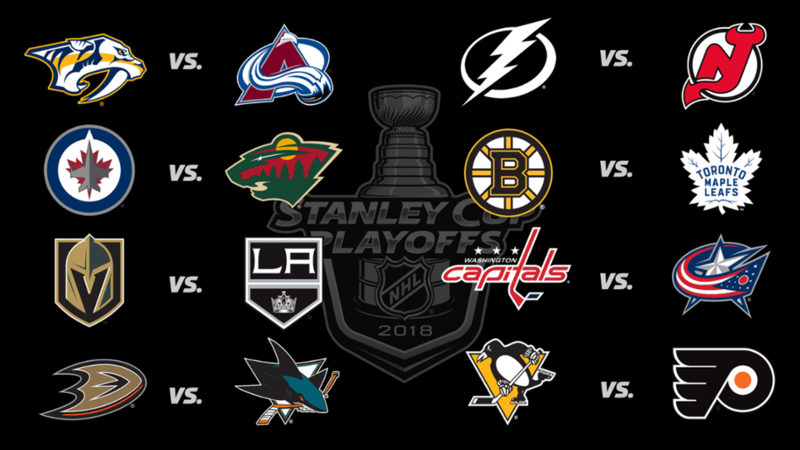 The NHL offseason is almost over so while the hockey world remains a quiet place, it seems like a good time to discuss the current NHL playoff format. The Stanley Cup playoffs are often heralded as one of the most competitive and exciting post seasons in sports given how unpredictable it typically is. Nobody expected the 8th-seeded 2012 LA Kings to lift Lord Stanley’s Cup in June, but that surprise playoff run was the norm, not the exception. The Stanley Cup Champion Washington Capital’s run was a shock to the entire hockey world. The Stanley Cup Playoffs also feature tons of variety as it is very uncommon for a team to even come close to repeating as champion. The Pittsburgh Penguins are the only team to have won back to back titles this millennium. The Stanley Cup Playoffs are universally loved by those who regularly watch, so how could they possibly breed controversy? The answer is simple, the seeding. The NHL, its teams, and its fans are split down the middle about seeding playoff teams by their position within their respective decision. Some love this template while others argue it would be easier to ignore divisions and seed each conference’s teams one to eight like the NBA does. It’s hard argue for or against either side because the current format has a fantastic quirk that also comes with a huge flaw. The best thing about seeding via division is that we get to see several fantastic rivalry games in the first couple rounds. Over the last decade there have been several matchups fans have gotten very familiar with. Kings-Sharks, Penguins-Capitals, Penguins-Rangers, and Bruins-Maple Leafs have led to some intense series that have seen numerous rematches. The issue with some of these great rivalry series however, is that there are multiple seasons where the best teams in each conference play each other far too early. I would argue that the Penguins and Capitals have been the two best teams for each of the last three seasons, but the two have met in the playoffs in the second round each time. Their clashes have provided some great six and seven games series, but is it right that the two best teams in the conference should be able to meet in the second round? What say you hockey fans? Does the current format work or should the NHL employ a system similar to the NBA?